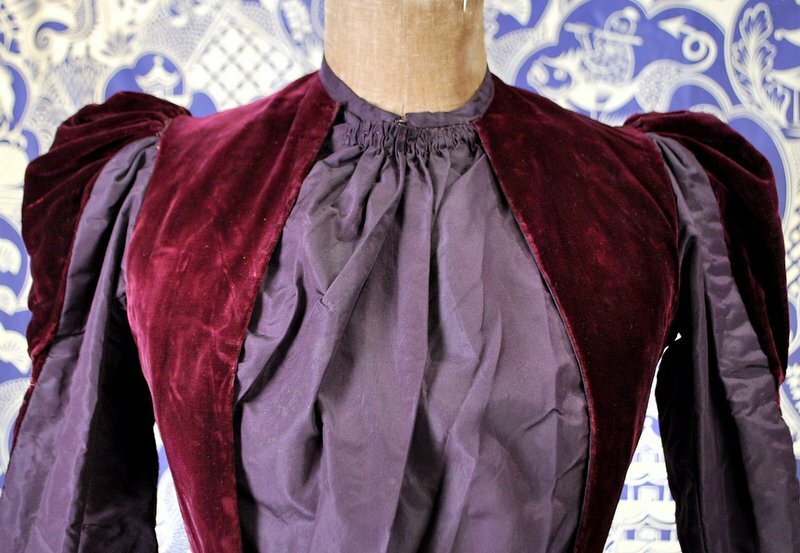 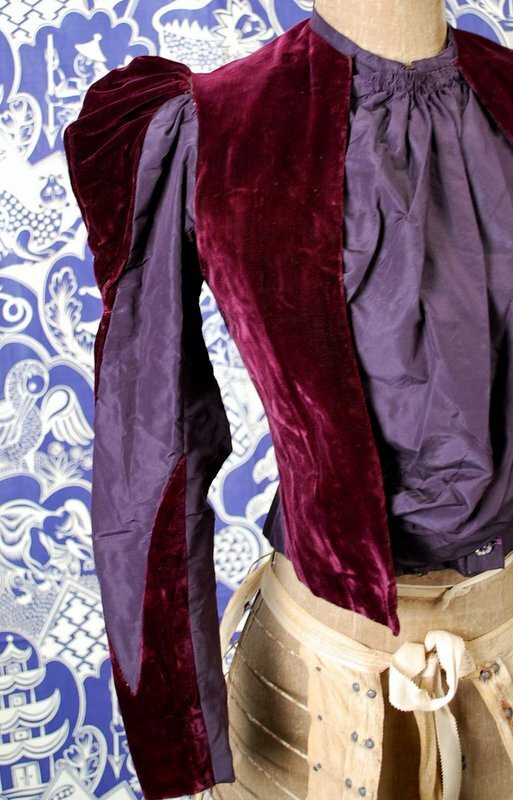 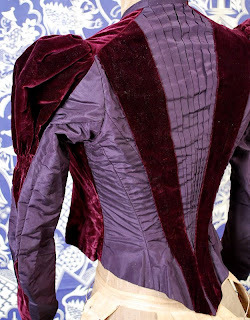 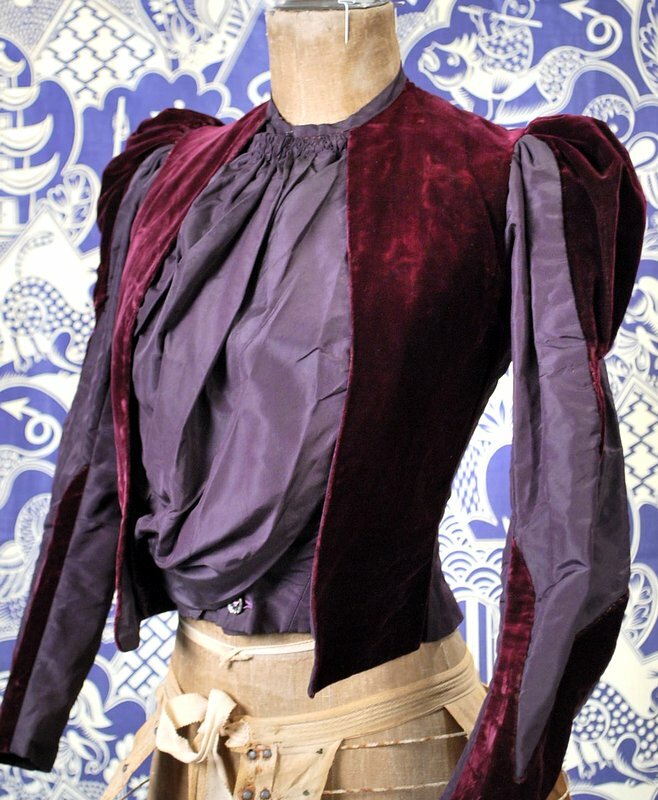 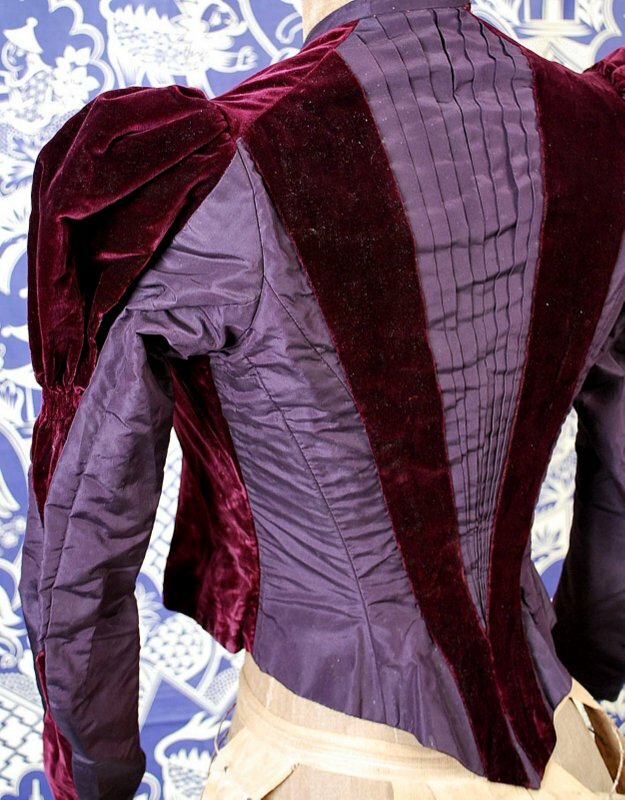 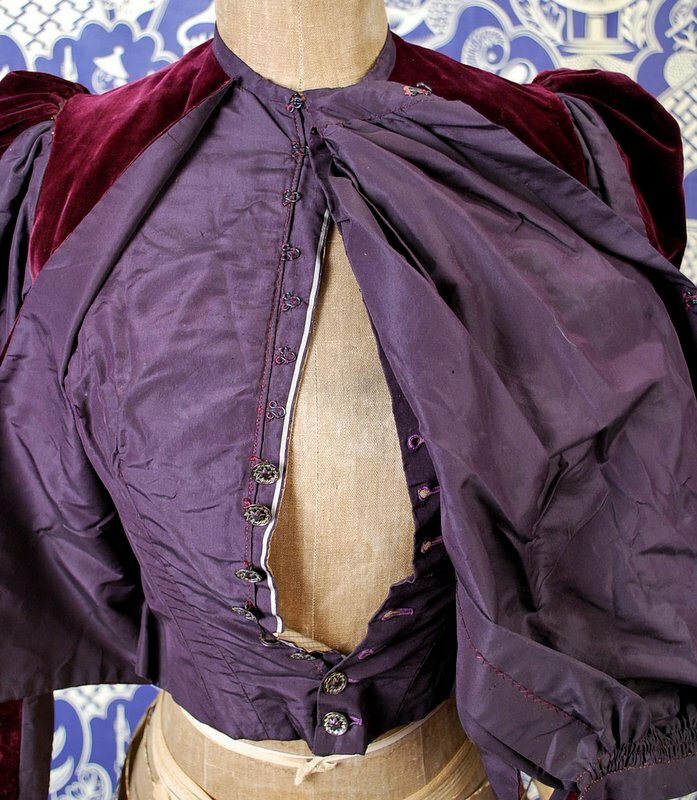 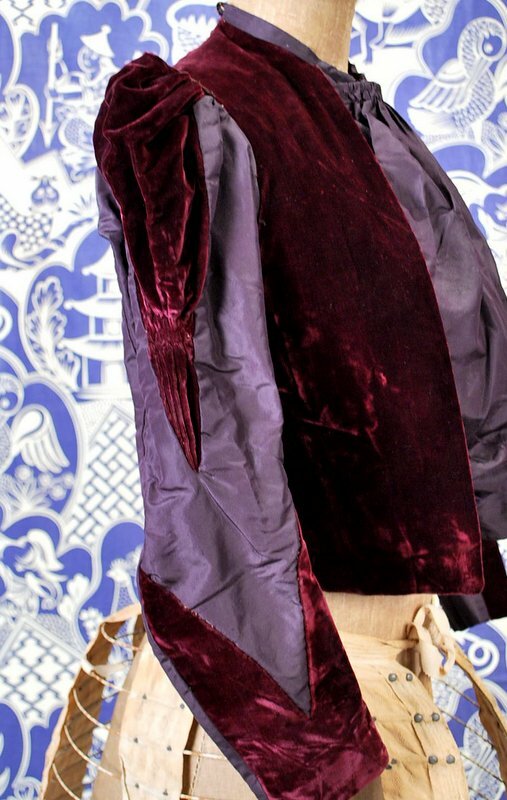 Plum colored silk with silk velvet accents. 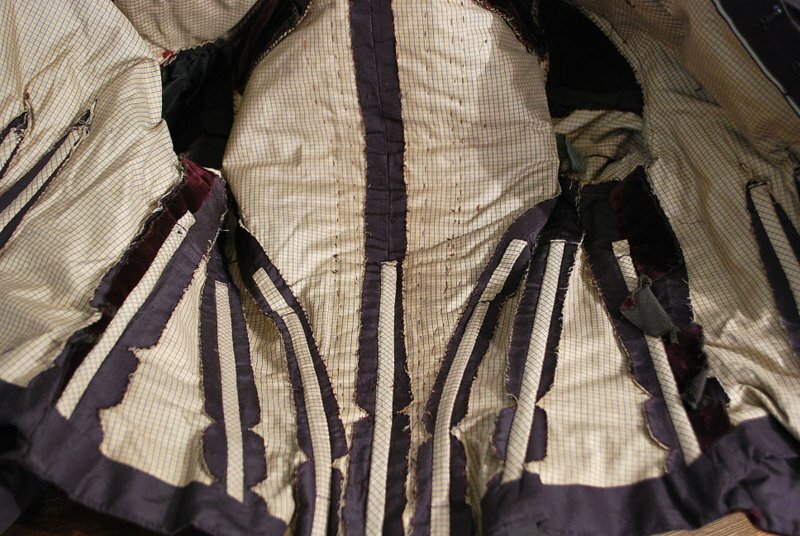 Fine knife pleat fan back, front hook and eye and button closure under the front jabot panel. 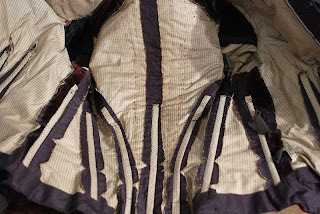 Fully lined with stays. 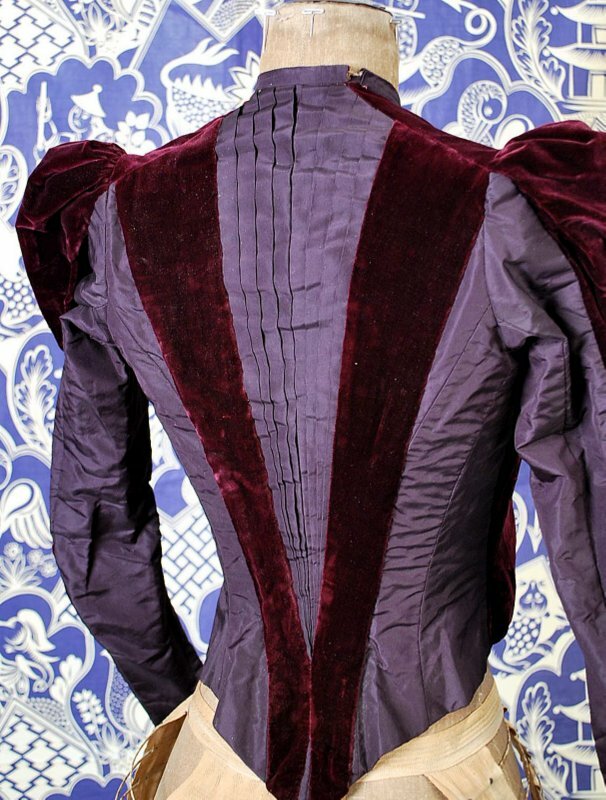 In very good uncleaned antique as found condition, slight break at neckline back. Chest measures 32", waist 22", sleeves 20", length in front 16"